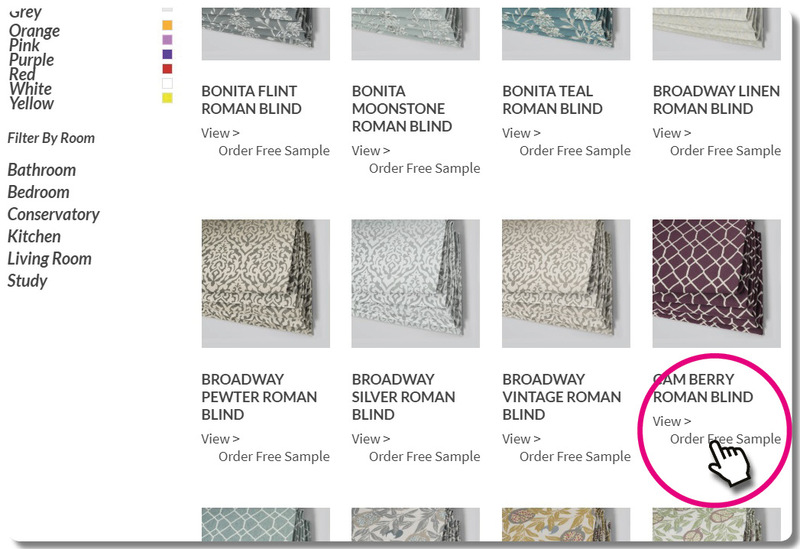 The SampleRoom allows you to browse our Roller, Vertical, Pleated, Roman fabric and curtain ranges and order up to 5 free samples to be sent to any address of your choice. Browse our range of fabrics for your chosen product type . 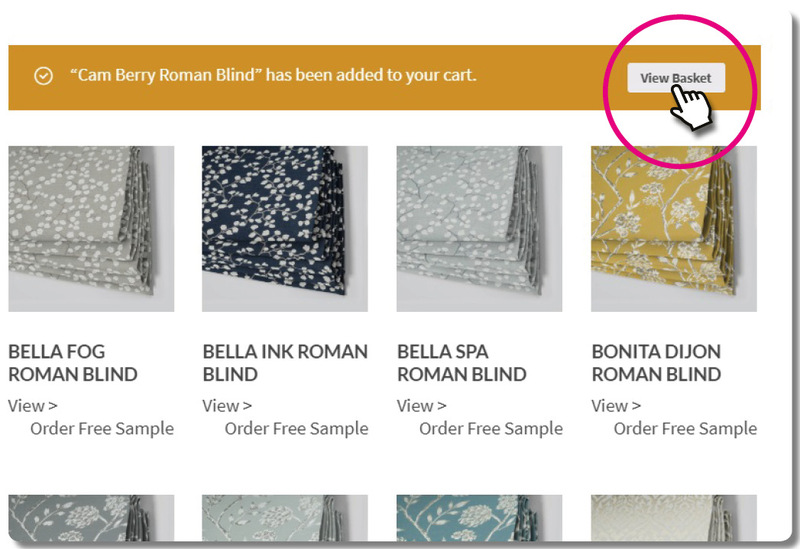 When you have a favourite fabric you would like to order, click on the order sample button to add it to your basket. 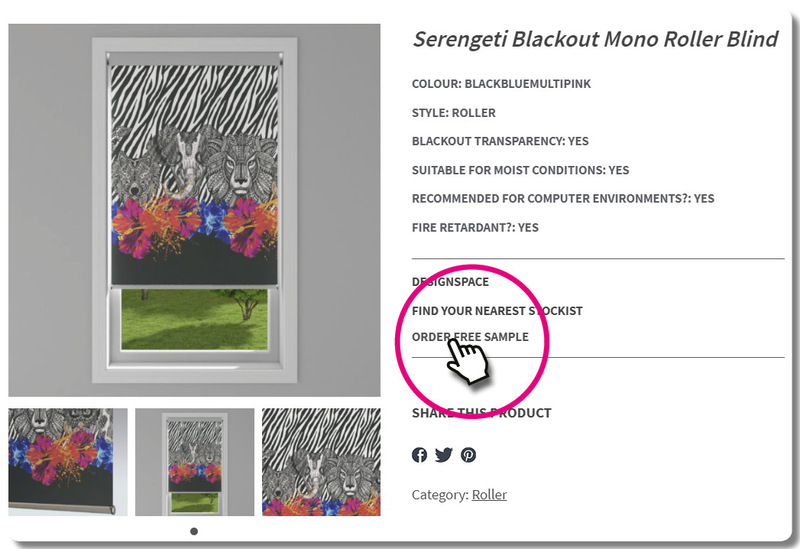 Click view basket to view all the samples you have selected. Or click the product title to view more details. 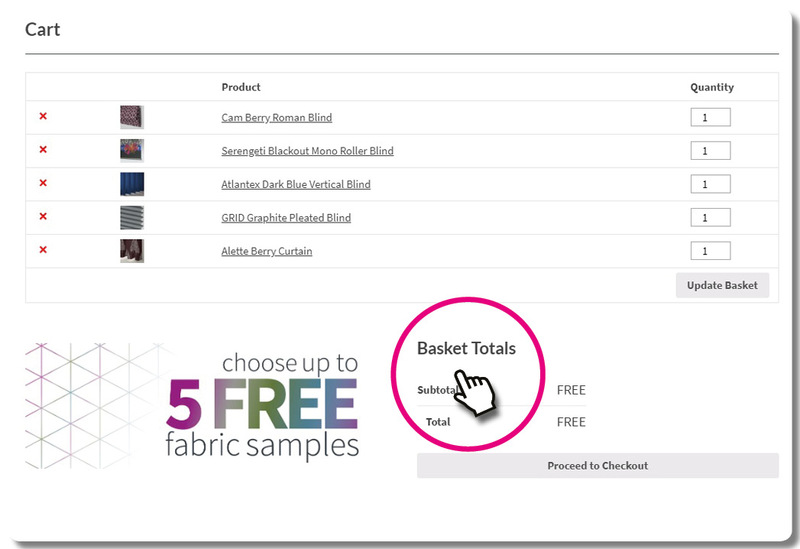 The SampleRoom basket at the top of the page will show a count of how many fabrics you have selected. Simply click on the basket to see what you’ve added. 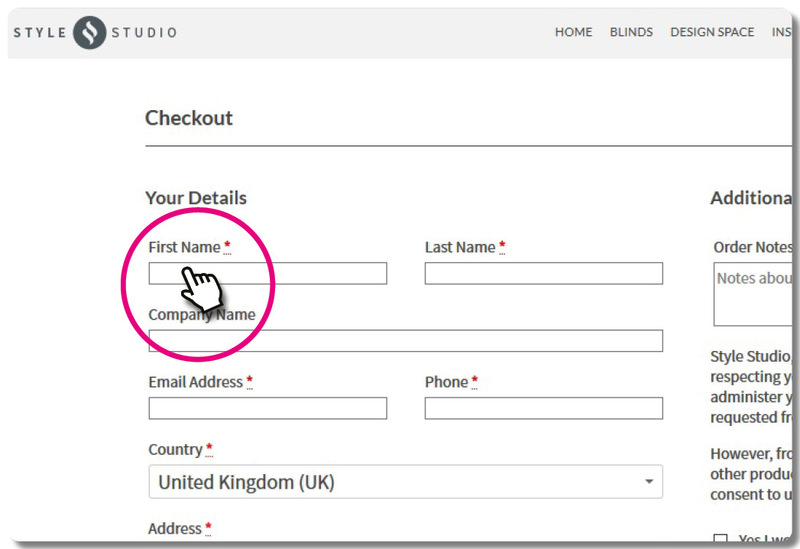 Your basket will show all your samples, you may choose up to five completely free. Once you have finished browsing, click on proceed to checkout. This will take you to the order form to add in your details and place your order. Click here to start browsing our fabrics.